ð�‘­ð�’�ð�’–ð�’“ð�’•ð�’†ð�’†ð�’� ð�’ƒð�’†ð�’”ð�’•ð�’”ð�’†ð�’�ð�’�ð�’Šð�’�ð�’ˆ, ð�’‚ð�’˜ð�’‚ð�’“ð�’…-ð�’˜ð�’Šð�’�ð�’�ð�’Šð�’�ð�’ˆ ð�’‚ð�’–ð�’•ð�’‰ð�’�ð�’“ð�’” ð�’‰ð�’‚ð�’—ð�’† ð�’„ð�’–ð�’“ð�’‚ð�’•ð�’†ð�’… ð�’•ð�’‰ð�’† ð�’‰ð�’�ð�’•ð�’•ð�’†ð�’”ð�’• ð�’—ð�’‚ð�’„ð�’‚ð�’•ð�’Šð�’�ð�’� ð�’”ð�’•ð�’�ð�’“ð�’Šð�’†ð�’” ð�’‹ð�’–ð�’”ð�’• ð�’‡ð�’�ð�’“ ð�’šð�’�ð�’–. â€œMr. Bubbles escaped. Iâ€™d think youâ€™d be more concerned.â€� Seriously? Roxy was giving me a guilt trip? â€œThat cat only moves to eat, so donâ€™t tell me that the lazy thing actually ventured out of your house.â€� I gripped the phone so tightly in my hand, pain shot through my joints. â€œAlso, somebody pulled the fire alarm at the library.â€� Considering it was eight in the morning on a Sunday and we didnâ€™t open the library until one, I highly doubted it. â€œAs soon as I can get another flight, Iâ€™ll be right behind you,â€� Roxy promised. â€œI canâ€™t believe you overslept.â€� She was perpetually late to everything. Why I was surprised she missed the flight, especially after what went down at her wedding yesterday, I didnâ€™t know. â€œFine. I was up all night doing unspeakable things to Marco,â€� she said in a rush. â€œThe best man? !â€� I squeaked. â€œMiss, please put away your phone,â€� a passing flight attendant said in a polite but donâ€™t-cross-me kind of way. How could I argue with that? Roxy didnâ€™t shed one tear at the church when she figured out her jackass fiancÃ© wasnâ€™t going to show up. She held it together even through the reception, which she insisted we all attend, but I knew my best friend. Every drop of champagne sheâ€™d consumed was a substitute for all the tears she held in. When sheâ€™d suggested I come on her honeymoon with her instead of letting the trip go to waste, I couldnâ€™t say no. â€œYouâ€™re lucky these seats are first class,â€� I said, softening my tone. â€œWe have to go now, Smithe,â€� he rumbled, and the line went dead. 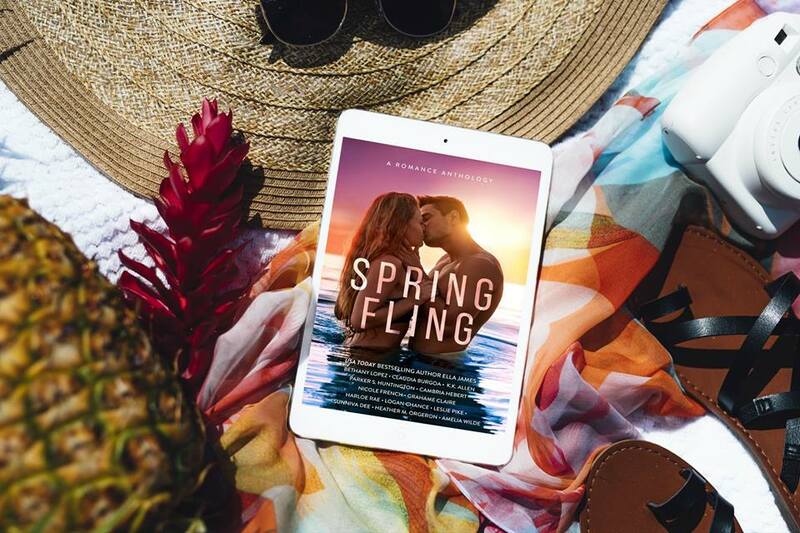 Older PostSpring Fling is coming soon!